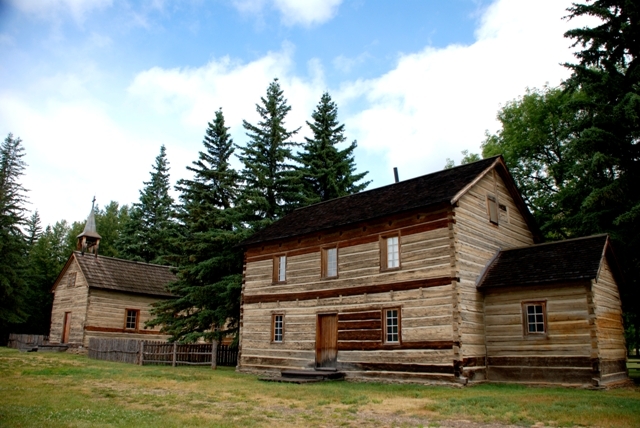 The Ukrainian Cultural Heritage Village is a major open-air museum operated by the Historic Sites and Museums Branch of Alberta Culture and Tourism. Located 50 km east of Edmonton the museum preserves more than 30 historic structures and interprets the lives of Ukrainian settlers in east central Alberta between the years of 1892 and 1930. 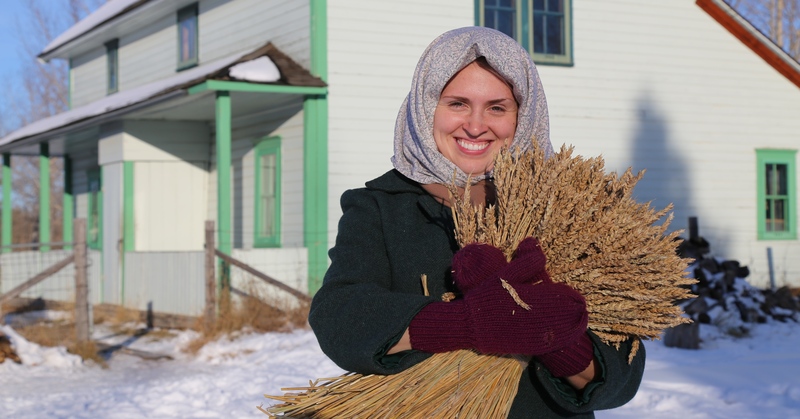 Based on extensive contextual and site specific research, the museum is an important steward of the intangible cultural heritage of Alberta’s Ukrainian settlers. Among the customs which the Village documents and observes is Christmas. As Byzantine Eastern rite Orthodox and Catholic Christians, Ukrainians celebrated Christmas according to the Julian calendar, which predated the introduction of the current Gregorian calendar. What is popularly referred to as “Ukrainian Christmas” is celebrated on January 7 rather than December 25. On January 6, Ukrainians celebrate Sviat Vechir (or Holy Evening, Christmas Eve) with a special meal. For the early Ukrainian settlers of east central Alberta as well as their descendants in urban settings, this was an evening filled with ritual and tradition, including pre-Christian agrarian elements. Christmas Eve meal, January 1949. Photo: Eric Bland. From City of Edmonton Archives, EA-600-1885g. 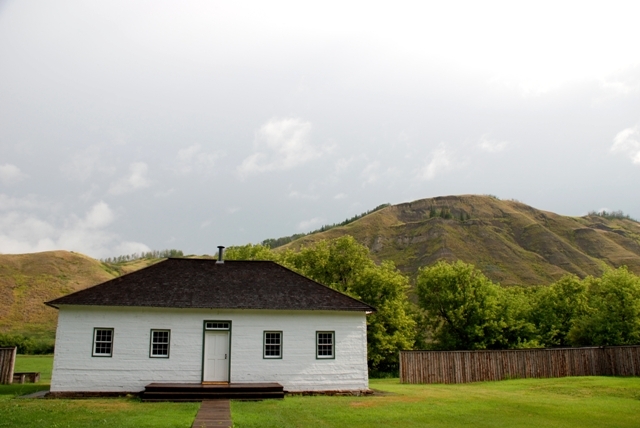 If you’re looking for some family fun this Labour Day weekend, consider visiting one of Alberta’s Provincial Historic Sites, Interpretive Centres or Museums. There is a lot of great programming that offers something for everyone – from strolling through gardens and learning about 1920s fashion, to carriage rides, guided hikes and tours, and getting your hands dirty and bellies full at the Reynolds-Alberta Museum Harvest Festival! Many of our sites, centres and museums are open year round but several others will be closing for the season after Labour Day. Don’t miss your opportunity to visit these sites before they close for the year! 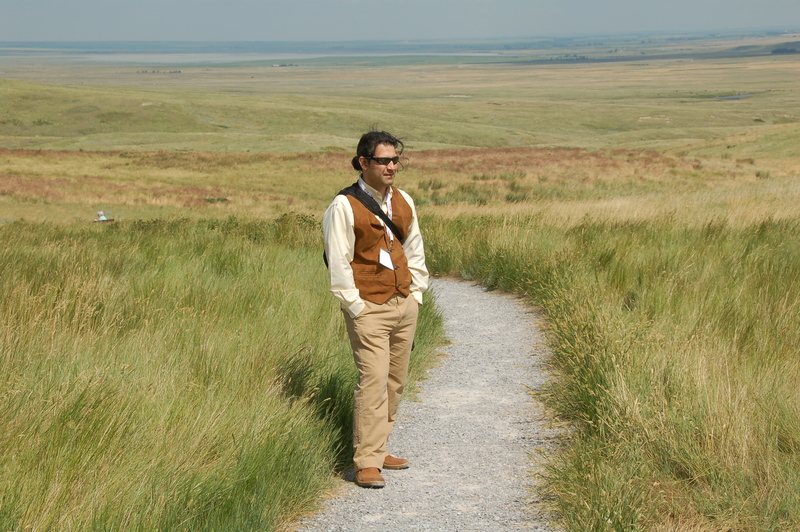 Alireza Farrokhi at the Head-Smashed-In Buffalo Jump during the 25th anniversary celebration in July 2012. Alireza Farrokhi, Head of Conservation and Construction Services in the Historic Resources Management Branch, describes his work this way: “My unit is the operational arm of our branch. Other program areas protect historic resources and promote heritage conservation by designation, research, and advisory services to municipalities and private property owners; they tell how heritage conservation should be done. We are the group that does it.” Like other program areas, Conservation and Construction Services follows Standards and Guidelines for the Conservation of Historic Places in Canada closely. 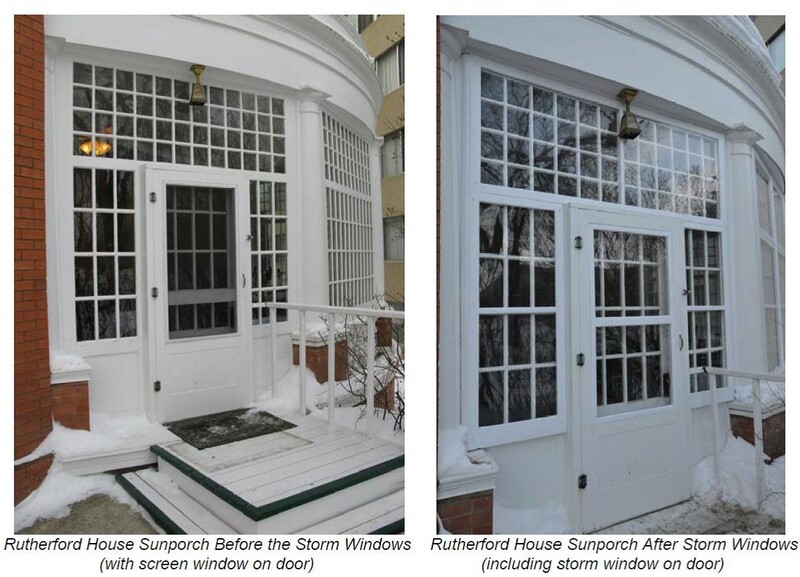 Conservation and Construction Services is responsible for “the heritage conservation, maintenance, and environmental management at all designated Provincial Historic Resources that are owned by the province.” That includes more than 50 restored historic structures, 14 operating historic sites, and 70 “mothballed” (vacant but stabilized) historic structures located at five sites not currently in use. The unit also collaborates with other government ministries—such as Alberta Environment and Sustainable Resources Development; Alberta Tourism, Parks and Recreation; and Alberta Infrastructure (the property manager for all government-owned buildings)—if heritage conservation work is required as part of a larger project. The seven-member unit (which includes three Heritage Conservation Technologists, a Restoration Foreman, and two Restoration Craftsmen) is currently working on numerous projects throughout the province. Staff members once covered specific geographic areas, but are now more likely to be assigned projects based on their expertise. Members of the unit make up the crew for smaller projects. Larger ones are contracted out, with unit staff overseeing the project planning and management. 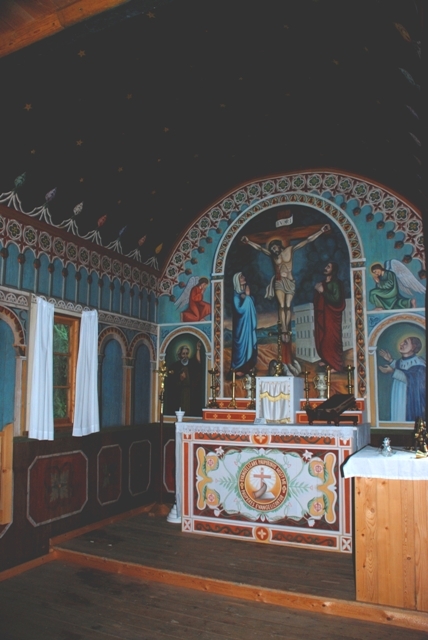 The unit’s ongoing workload ranges from conducting multiyear, multistructure restoration projects to addressing specific conservation problems, including some “that come out of the blue.” One staff member works full time at the Ukrainian Cultural Heritage Village, east of Edmonton, restoring buildings one by one. 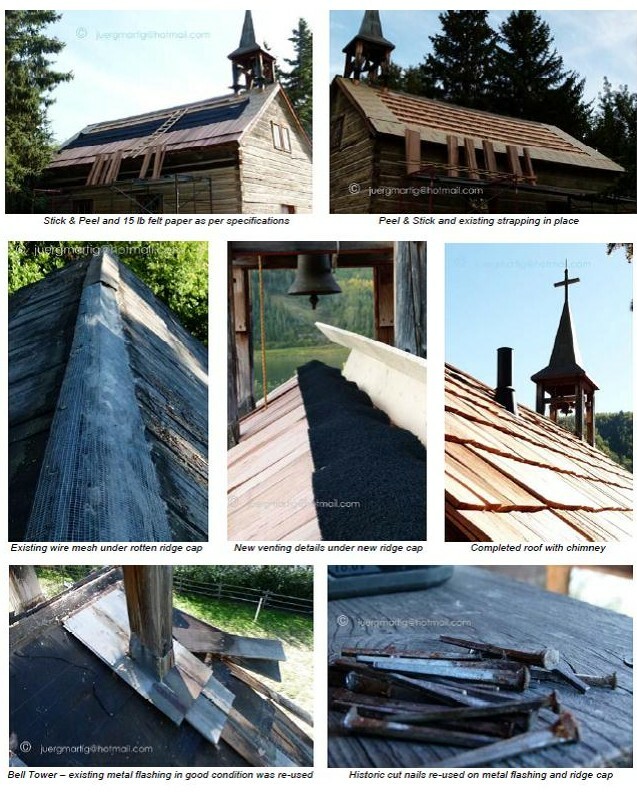 Another has been restoring the log structures at the Perrenoud Homestead near Cochrane. Members of the unit have also worked recently at the Rutherford House in Edmonton, the Stephansson House near Markerville, and Victoria Settlement near Smokey Lake. 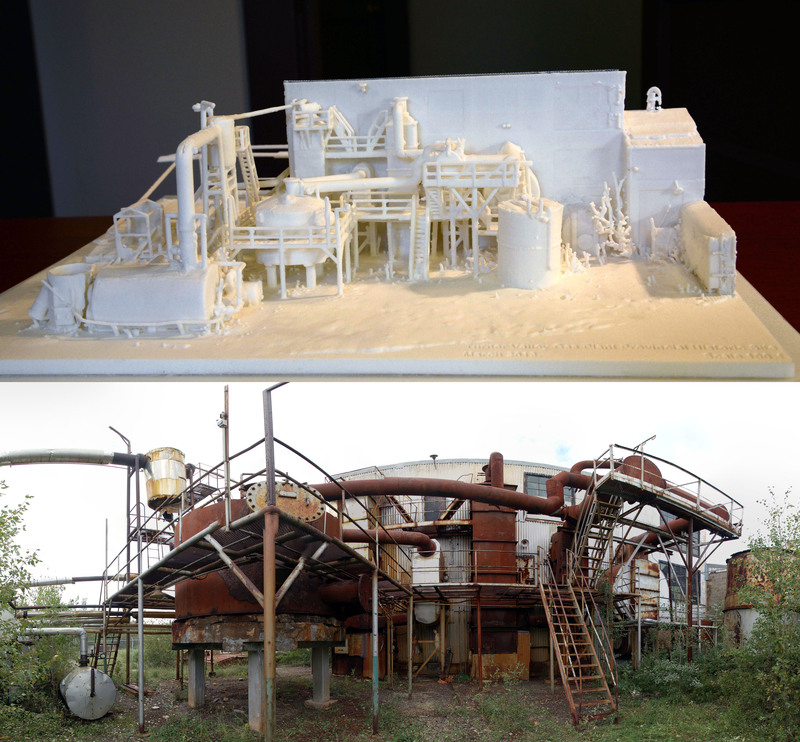 Alireza’s current projects involve restoring “environmentally challenged” industrial sites. He and a colleague are currently working at three that were critical to Alberta’s history: Turner Valley Gas Works, Alberta’s first natural gas plant and a key player in the creation of the province’s oil and gas industry; Greenhill Mine Complex, a historic coal-mining operation in the Crowsnest Pass; and the Bitumount Site north of Fort McMurray, the birthplace of oil sands extraction technology. “Back then, their focus was solely on energy extraction. They were not really concerned about the environment,” he says. “But now these are areas that we need to clean up with heritage conservation considerations, so we can’t just dig out the dirt and take it away.” Older structures and equipment must be rescued and stabilized; working in sections, contaminated soil and water must be removed, contained, and treated; nearby waterways must be monitored to verify that groundwater and surface run-off is now clean. Other historic sites under the unit’s care often require environmental remediation as well, especially removal of asbestos and lead paint. Alireza loves the challenge and creativity of heritage conservation work. “If a job is not challenging, it’s not interesting,” he says. Alireza started his career as a civil engineer in his home country of Iran, doing project management for the construction of large-scale industrial and high-rise buildings. His eyes were opened to heritage conservation work when the firm that employed him was building the subway system in historic areas of Tehran. The discussions about the heritage fabric encountered there were like “poetry,” he recalls. Alireza earned a master’s degree in heritage conservation in Tehran, then he cofounded a private company specializing in heritage conservation—a risky business venture in a country where almost all conservation work is done by the government. The company grew into one of the largest of its kind in Iran. His company helped with stabilization of heritage structures of the 2500-year-old Bam Citadel, which was damaged in a devastating earthquake in 2003 in which some 43,000 people lost their lives. While doing that work, Alireza questioned why, at the same time that thousands of displaced people lacked basic necessities, conservation professionals were routinely advocating the use of the most advanced and expensive documentation techniques instead of less costly ones (laser scanning rather than study of years of existing aerial photographs. That led him to the University of Calgary’s doctoral program in Environmental Design, to explore how and why professionals in heritage conservation (and potentially in other fields as well) choose which documentation technology to use. Alireza joined the Historic Resources Management Branch as a Restoration Officer in October 2011, and has been in his current position since July 2013, while also completing his dissertation. After working on ancient monuments and sites in Iran, doesn’t Alberta’s heritage seem rather modest by comparison? Not at all, Alireza insists! “It comes down to a question of values—what you value. Heritage is heritage, regardless of how old a particular structure is. It brings people together, it creates a sense of community, and those are the important factors. The Rutherford House Historic Site and Museum Christmas season exhibit is now on display. This year the exhibit is Winter in Edmonton – Weather, Entertainment and Survival. The exhibit runs from December 2013 until January 24, 2014. Rutherford House Historic Site and Museum in winter (2005). Edmonton is a winter city. That undeniable fact was clearly demonstrated a few weeks ago when the thermometer dropped to -30°C. On cold and snowy days many of us stay inside our centrally-heated homes and shudder as we look out over wind-swept, icy and snow-covered streets and sidewalks. 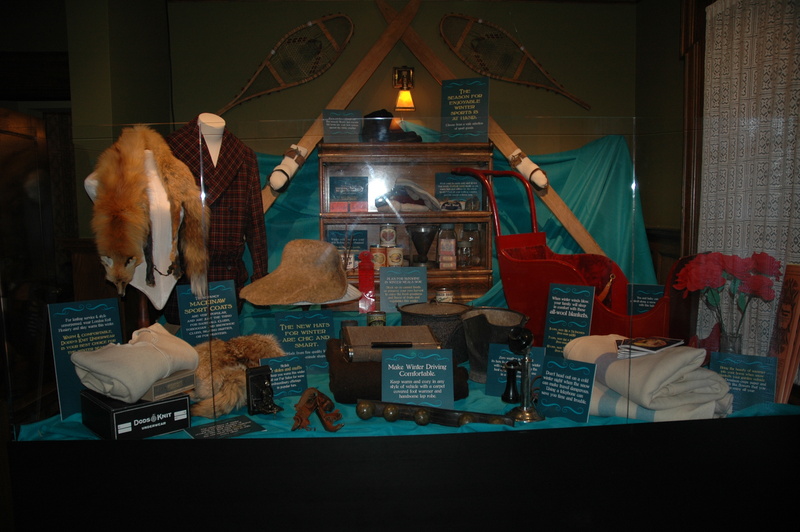 A selection of winter-related artifacts from the Rutherford House collection and the Royal Alberta Museum are on display at the Rutherford House Historic Site and Museum until January 24, 2014. Winter is not all cold and dreariness, of course. Winter is a season of fun and outdoor games. It is a season of snowmen and skating parties, of shinny and skiing. It is a season of companionship amongst friends and family, of hot chocolate and large meals. 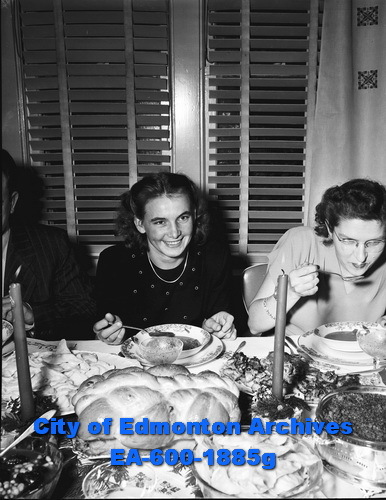 Whether you enjoy bracing walks outside or a book by a warm fire inside, have you ever wondered how did Edmontonians of the 1910s to the 1930s deal with winter? How did they keep warm outside? How did they heat their homes? How did they get around their community? What did they do for fun in the snow? What did they do when it was too cold to go outside? 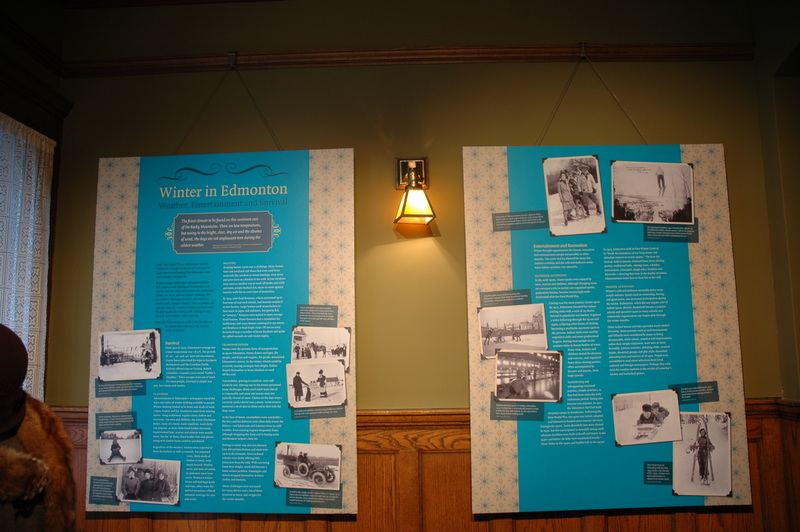 Interpretive panels and archival photographs explain and illustrate how Edmontonians survived and enjoyed winter in the 1920s and 1930s. Visit the Winter in Edmonton exhibit at the Rutherford House Historic Site and Museum for the answers to these questions and to learn about this Provincial Historic Resource – one of Edmonton’s early architectural gems and the historic family home of Alberta’s first Premier. 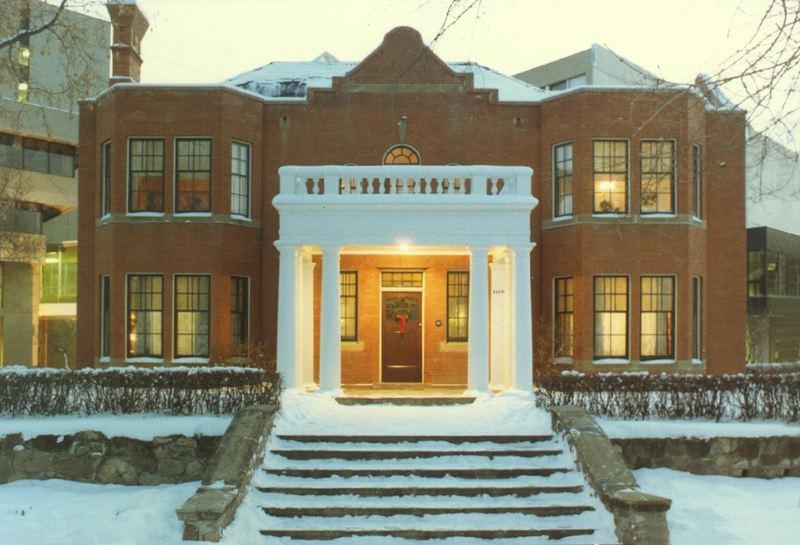 The Rutherford House Historic Site and Museum is located on the University of Alberta campus at 11153 Saskatchewan Drive. Winter hours are 12 (noon) until 5:00pm, Tuesday through Sunday. While you are there, stop and visit the newly re-opened gift shop for great Christmas stocking stuffers. Written by: Ron Kelland, Historic Places Research Officer and Geographical Names Program Coordinator. Markerville Tour Booklet Re-vamped and Re-launched! The Stephan G. Stephansson Icelandic Society has just published a 3rd edition of the Markerville tour booklet. Re-named Icelandic Settlement: Markerville and District Historical Tour, the revised and re-designed booklet is packed with information and historic photographs. Starting in the late 19th century, settlers of Icelandic descent arrived and started building a community on the banks of the Medicine River. The hamlet of Markerville never grew to any great size, but it was a vibrant community with several businesses as well as a church and hall. The Icelandic heritage of the early settlers gave Markerville a distinctive character. Today, Markerville has four Provincial Historic Resources that help tell its story. The Stephan G. Stephansson Icelandic Society owns and operates three: the Markerville Creamery, the Markerville Lutheran Church, and the Fensala Hall. The Stephansson Memorial, located just across the Medicine River in Markerville Park, is also a Provincial Historic Resource. Close by is another Provincial Historic Resource, the Stephan G. Stephansson House, home of an early settler who became famous for his poetry in the Icelandic language. The house is also the centerpiece of the Stephansson House Provincial Historic Site, one of the interpretative sites run by Alberta Culture. Markerville is located southwest of Red Deer, at the centre of Alberta’s historic Icelandic settlement area. This part of the province is not only scenic, it has a wealth of historic interest as well. The tour booklet provides background information, and a route map to guide you through the tour. Alberta Culture assisted the Stephan G. Stephansson Icelandic Society in revising the tour booklet; the society also received funding from the Alberta Historical Resources Foundation to assist with the cost of its publication. Copies of the booklet are available from the Society at the Markerville Creamery Historic Site in Markerville. Where but Alberta can you experience an Icelandic homestead, a glacial erratic, a fur trade post and a buffalo jump? What other province operates a network of museums and interpretive centres, where you can see dinosaur fossils, historic automobiles, Canada’s deadliest rock-slide or a Ukrainian-Canadian settlement? The Government of Alberta doesn’t just protect significant historic resources—we proudly interpret and display Alberta’s heritage. The Ministry of Culture operates historic sites, interpretive centres, museums and archives. To find out more, click here. Would you like to know what’s happening at some of our historic sites and museums during the next few weeks? Here’s some information for southern Alberta and for northern Alberta. Spring is in the air! Have you started planning your summer vacation? Last fall (2012), I had meetings with the Municipal District of Spirit River and also had the opportunity to visit Historic Dunvegan Provincial Park. What a beautiful place to explore! Located approximately one hour north of Grande Prairie and fifteen minutes south of Fairview, this park offers camping, a walking trail that meanders along the Peace River, a Provincial Historic Site and stunning views of the Dunvegan Bridge. With a Visitor Centre acting as a gateway to the Provincial Historic Site portion of the park (of which, portions are also designated as a Provincial Historic Resource) interpretive staff provide guided tours of the historic buildings. If you time your visit carefully, you might even get to experience one of their special events. See below for more information. Factor’s House, Historic Dunvegan (Interior) Do you remember hearing the saying “sleep tight” when you were a child? While it’s not known for sure, many believe that the saying originated with the use of rope beds such as this. 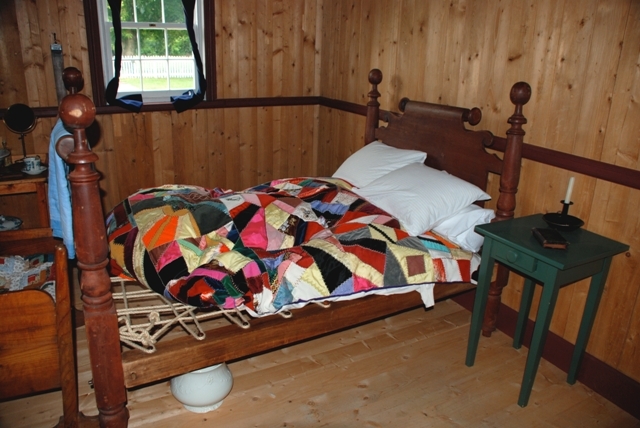 A person would have to tighten the ropes of the bed every so often, otherwise the ropes might loosen and cause the person to fall through to the floor in the middle of the night. Possibly as a reminder to tighten the ropes, the saying: “Good night, sleep tight” came into being. Historic Dunvegan is a significant part of Alberta’s heritage because of its connection to the operations of the North West Company and Hudson’s Bay Company in the Peace River District, for being an example of early architecture in Alberta and for the archaeological resources located at the site. To learn more about the significance of Historic Dunvegan and its history, read its listing on the Alberta Register of Historic Places. Tours of these fully restored buildings are offered daily. Open Hours: May 15-September 2, 2013 from 10am-5pm. Regular admission prices: $3.00 for Adults; $2.00 for Seniors; $1.50 for Youth; Free for children 6 and under. Attention educators and youth group leaders! Educational programs or tours can be booked anytime during the summer. Canada Day – Monday, July 1st, 11am-4pm. Celebrate a historical milestone at Historic Dunvegan by being part of the grand opening of a building originally constructed by the Revillon Frères free traders in 1909. Discover this significant chapter of Dunvegan’s story by exploring the building and hearing from many of the people who have helped bring it to life. The day’s festivities will also include a performance by Juno-nominated family entertainer Mary Lambert, tours of all historic buildings, games, cake and crafts. Annual Fresh Air Market – Sunday, August 4th, 11am-5pm. Experience the time-honoured tradition of trading and gathering at Historic Dunvegan’s Fresh Air Market. Shop for jewellery, gifts, and other treats – all handcrafted by artisans from the Peace Country. Costumed interpreters will be offering tours of Historic Dunvegan’s three fully restored historic buildings. Activities for the kids will be provided. Regular fees apply. Amphitheatre Entertainment –Saturdays (May 18, June 29, August 3) at 2:00pm. Join the staff of Historic Dunvegan for a humorous and often interactive dramatic presentation. Participation by donation. Sunday Funday – Sundays (May 19, June 30, September 1) at 2:00pm. Have some fun with our historical interpreters as they host games and activities. Participation by donation. Day Camps – Most Wednesdays in July and August, 11am-4pm. For kids aged 4-10. Have some fun in the sun, learn a new craft, play a fun game, watch movies and more! Fee: $10/child. Bring a bag lunch. Tea Leaves & Bannock Sticks – Most Saturdays in July and August, 2pm-4pm. Learn to bake bannock (traditional Scottish/Aboriginal bread) and enjoy a cup of tea while visiting with friends, family and historic staff. Participation by donation. Follow Historic Dunvegan on Facebook!